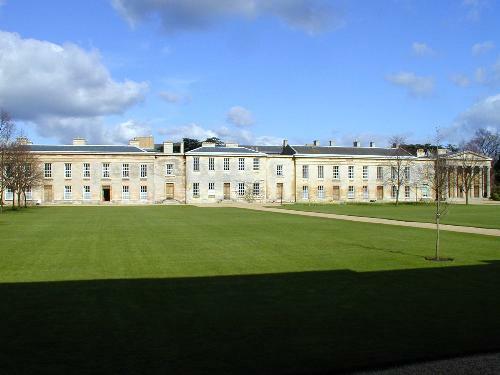 Downing has the most beautiful court in Cambridge, and this is not only because it is the largest court but also because the buildings are all stone and of a similar style. Wilkins started this building and it was finished by Barry. Downing also has the best view of the Catholic Church.